Veterinary practitioner Joe O’Keeffe on his farm at Killucan, Co Westmeath. Vaccinating weanlings against pneumonia is a non-negotiable part of good management, according to Kinnegad-based veterinary practitioner Joe O’Keeffe. 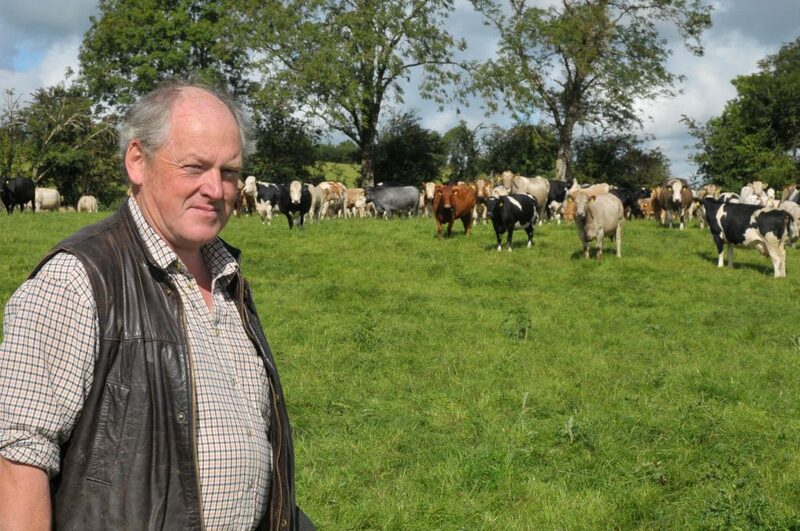 Joe has farmer clients across Westmeath and in parts of Meath, Kildare and Offaly. His advice to all his clients is to vaccinate against pneumonia, whether holding their own, selling or buying in. 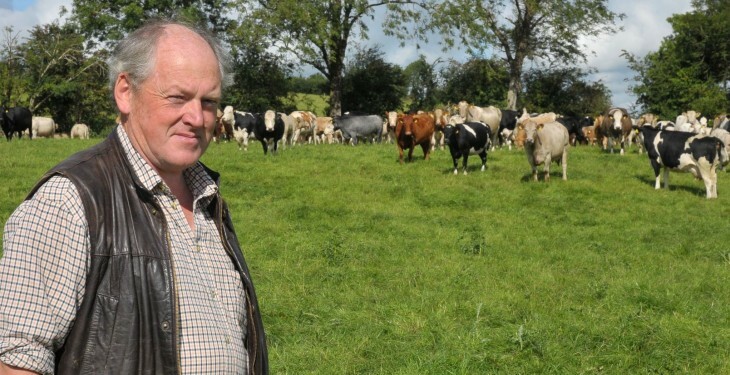 He also runs his own intensive beef enterprise at Killucan, consisting of 70 spring and autumn calvers. The male progeny are finished as bull beef at 16-18 months. All home-born heifers are finished at 16-18 months and he also finishes a number of bought-in heifers and cull cows. “I just couldn’t survive without vaccinating against pneumonia. I bring in all my calves on 1 September and vaccinate them with Bovipast RSP and Bovilis IBR Marker. In early October they get a booster shot of both vaccines,” he said. Bovilis RSP protects against pneumonia caused by Pasteurella bacteria and by the two main viruses, RSV and PI. Bovilis IBR Marker protects against IBR, the highly infectious viral disease. “Vaccination is cheap compared with the cost of treating a Pasteurella pneumonia attack with antibiotics. “An animal that recovers from pneumonia will lose at least one month’s thrive. Following a severe attack, the lungs never repair and many animals end up as chronic cases. These are prone to relapse and many finish up as a salvage job in the factory,” he added. He said vaccination of weanlings sold through marts is a must. If animals are not vaccinated prior to sale, they should be vaccinated immediately after purchase. “In addition to the stress involved, marts contain a stew of every kind of bacteria and virus. Many marts now hold their weanling sales at night, which means that purchased weanlings may not leave the mart until the middle of the next day and infection may have already started. “Move them as fast as you can and inject them immediately. I know of farmers that vaccinate in the shoot before they leave the mart. That is a good idea,” said Joe. “He said the first 10 days after purchase is the critical period for pneumonia infection. His advice is to always keep bought-in weanlings on their own for at least the first two weeks. Keeping them outside on the grass, rather than in a house, gives them a much better chance of remaining healthy. A strong advocate of preventative medicine, Joe O’Keeffe said farmers need to be conscious of the need to keep antibiotic use to a minimum. He highlighted the trend at EU level and in countries such as Denmark and Holland to curtail the use of antibiotics. Because of concerns about antibiotic resistance and the implications this has for human medicine, this is likely to become a bigger issue over the coming years. “This another reason why every opportunity should be used in farming to maximise the use of preventative vaccines and only use antibiotics when absolutely necessary,” said Joe O’Keeffe.